Ensuring integrity makes water stewardship initiatives (WSIs) more impactful, sustainable, and cost-effective. 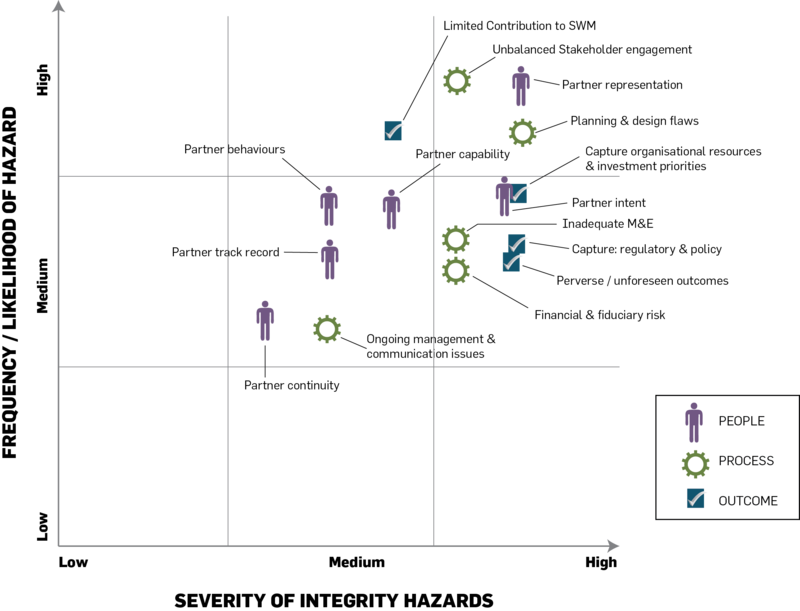 Further, ensuring high levels of integrity reduces reputational risks that could be barriers to multi-stakeholder cooperation. This guide builds on the lessons learned from the pioneers of WSIs around the world. It supports existing and future WSIs in creating tangible benefits for society by ensuring high levels of integrity and transparency. What is integrity in WSI'S? Understanding and properly managing integrity risks is essential to ensure the long-term effectiveness and impact of WSIs in addressing shared water challenges. What integrity risks do WSI's face? Fieldwork undertaken for this project has identified the range of integrity risks facing WSIs through analysis of 18 historical, ongoing, and emerging WSIs and 50 interviews with diverse stakeholders involved in them. This project developed a framework by which organizations can implement and advance integrity in their WSIs. 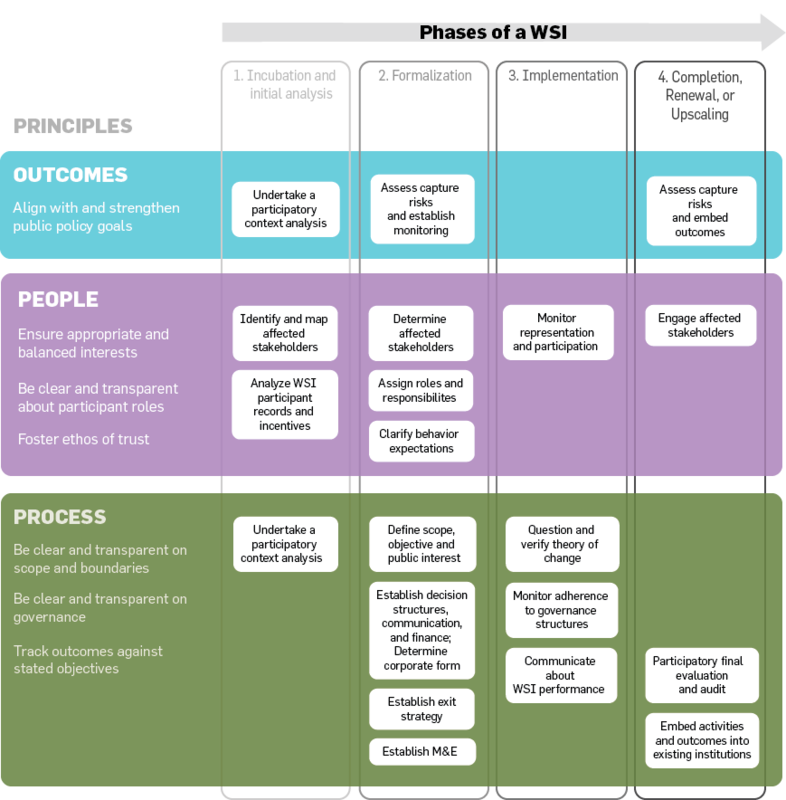 The framework includes seven principles across the four phases of every WSI. Click on principles to find out what they entail as well as guiding questions to help you implement the principles. and how to implement that activity. Click on relevant phases of the lifecycle to find what activities should take place during that phase.